It's Time for Bare Roots! Foggy mornings, cold nights, soggy ground, and winter storm warnings - that means it’s a perfect time for planting bare root trees and shrubs! Bare roots, for those unfamiliar with them, are dormant plants (generally fruiting trees and shrubs) that are sold with exposed roots. We hold them here at the nursery in bins filled with soil, to keep the roots from drying out. When you buy them, we dig them out, pop them into a plastic bag, and you’re on your way! And although bare roots look a little…unimpressive…at first glance, there are a lot of great reasons to consider planting a few this winter. 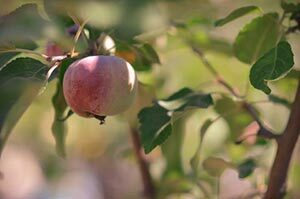 Selection: You’ll find the biggest selection of fruiting trees and shrubs at this time of year - ranging from hard-to-find food plants like quince, jujube, elderberry, currants, and hops; to a larger selection of sizes (from dwarf rootstock to semi-dwarf) and varieties of fruit (five kinds of strawberries, five kinds of grapes, ten kinds of peaches and four persimmons!). Price: Because these are bare roots, nurseries have a lot fewer costs invested in them: no containers, no soil, no fertilizer - and they haven’t spent months (or years) caring for them as they’re growing out. Those savings are passed along to the buyer, and they can be significant. Mid-Winter is a great time to plant: It might seem counter-intuitive, but this is a wonderful time for planting trees and shrubs. The ground is moist and plants are dormant, so plants are far less likely to go into transplant shock than they are during warmer and drier times of the year. In addition, because the ground is soft, tree-sized holes are a lot easier to dig! Getting to the root of it all: Plant roots are amazing structures: they hold plants in place, pull water out of the soil, and store the nutrients plants need to grow and be healthy. And root structures are incredibly variable. Some plants produce lots of thin, fibrous roots; some rely on a long taproot; and others have root structures that branch as widely and intricately as the above-ground part of the plant. And yet, we rarely get to see them! This is probably the only time you’ll have the opportunity to see the whole plant you’re working with. And that can help give you a better understanding of what your trees and shrubs need in order to grow and thrive. Try to get your bare roots planted within a few hours of getting them home. Your bare root plants are dormant, but they’re not indestructible. If you can’t get them planted immediately, make sure you keep roots from drying out between the time you bring your plants home and the time you get them planted. You can keep them moist inside the plastic bag for a couple of days. It is best to heel them into some soil or moist bark if you can’t plant them right away. Hold off on fertilizing your new plants until all risk of frost has passed. Fertilizing too soon can push leaf growth before their roots have had a chance to get established. 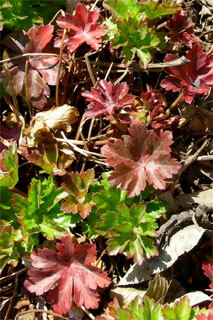 In addition, new leaves are thin and tender and can be killed by late frosts. It is best to prune back the branches of your bare root tree. You want the top of the tree to be more in line with the root system. This will help give the roots a better chance at supporting what is up top. Have more questions? 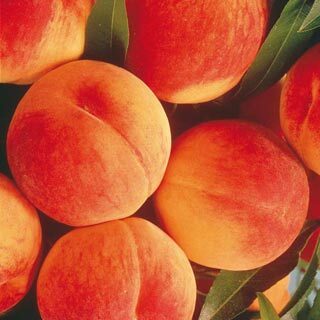 We can help at the nursery or come to our fruit tree pruning classes on Feb. 17th and 24th! Please feel free to ask us questions! The staff here at Shooting Star is happy to help you with suggestions about the best varieties to plant, how much space your plants will need, and what pollinizers (if any) your plants will need in order to produce fruits. We can even give you a few simple pruning suggestions to get you started on the right foot with your new plants. And if you are interested in planting some bare roots this year, make sure to register for our Planning for Edibles workshop on Saturday, February 10th! Recently I had the opportunity to attend an amazing conference hosted by the Perennial Plant Association. Held in Denver, Colorado, the overall theme was plants that perform well in high mountain areas, barren soils and low water settings. The Rogue Valley fits squarely into this designation. While there was certainly a lot of discussion about new plants and plant selections, I found many of the big picture concepts to be really eye opening about the current state of gardening we find ourselves in and heading into. For years there has been a heavy presence of either East Coast plant material or plants that thrive on the East Coast that has been marketed across the entire United States in a one size fits all category. 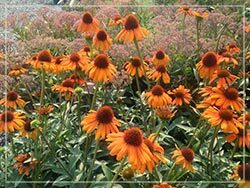 Botanist, breeders and gardeners alike have started to shift away from this mentality and focus more on either western forms or regionally appropriate selections that will thrive in the Western United States. As an example, some ornamental grasses originating from overseas or the Eastern U.S. or the mid-west struggle in our arid soils containing low organic matter and a high pH. 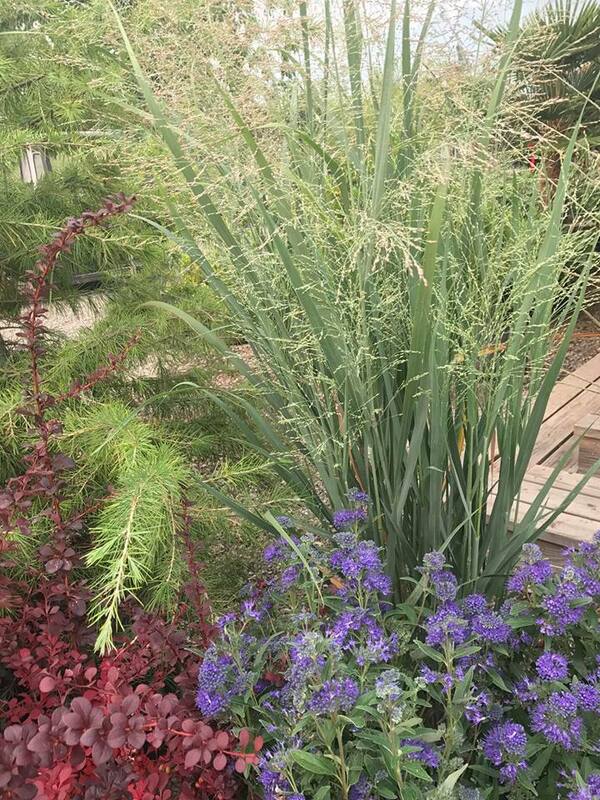 New western forms such as Bouteloua ‘Blonde Ambition’ (Blonde Ambition Grama Grass) or Sorghastrum nutans ‘Thin Man’ (Thin Man Indian Grass) are excellent examples of grasses that are regionally appropriate since they perform well in our area. Another issue this area deals with is that we do not get the natural summer and fall rains the east coast does so this factors into what plants will regionally thrive in this area. 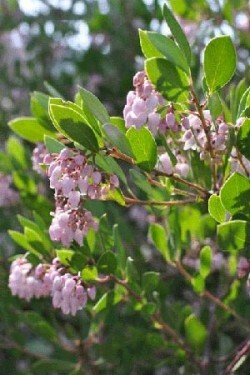 Gardeners and designers from around the country are envious that we can grow Arctostaphylos (Manzanitas), Ceanothus (California Lilac) and Rhamnus ‘Eve Case’ (Coffeeberry) here. These evergreen shrubs won’t miss a beat in our dry summers and early fall and as such we should embrace our region’s environmental uniqueness and plant accordingly. Alliums (Ornamental Onions) while not always native, are another wide-ranging species that perform exceptionally well here. 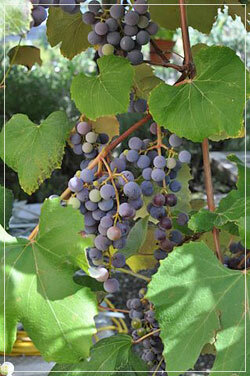 They can thrive in dry soils that drain well and are devoid of lots of organic matter. There are literally dozens of forms to choose from but a few highlights from the conference were: Allium ‘Millenium’ (2018 Perennial Plant of the Year), Allium ‘Christophii’ (Huge ornamental heads with steel-blue flowers) and Allium thunbergii ‘Ozawa’ (A fall blooming selection). 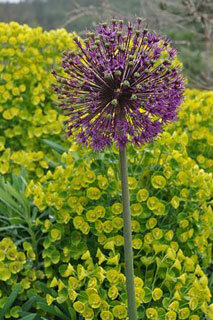 Alliums are incredible pollinator plants that provide both pollen and nectar for beneficial insects. Having a love affair with the hose when the trends suggest otherwise! New Concept of value of plants. The traditional benefits of plants were promoted and thought of as “items” that brought happiness, beauty and increased property value to our life. Over time new concepts have risen to the top as to the value that plants bring into our world. Today’s cutting-edge designers are thinking about how plants can help with improved water and air quality, providing food (both to humans and animals), their functionality and how they benefit wildlife. Many plants can serve multiple functions and overlap criteria when it comes to designing. For example, Panicum grasses (Switch Grass) serve multiple uses. Not only are they extremely drought tolerant (their roots can go down 14’) but they sequester carbon from the air and put it in the ground thus helping with air pollution. Their foliage is very attractive and their seed heads can be a food source for birds. This is an example of one plant providing at least four sources of value, not all of them just for humans. I came away from the Perennial Plant Conference with a new sense of looking at how plants are being used, valued and incorporated in today’s designs and projects and what our responsibility as gardeners, landscapers, designers and plant propagators is in today’s changing world. Fall is in the air. It may not seem like it with the smoke and the temps still in the 90s. But the days are getting shorter and we know that cooler temperatures and autumn rains are right around the corner. You won't want to miss that prime opportunity to get planting. Fall is the best time to plant in the Rogue Valley. Especially higher investment plants like shade trees. There is less stress involved when transplanting them during cool weather and when they have started to go dormant. We like to define fall as when we start to get some rain, the days have cooled off and are shorter. That can mean late September or early to mid October. The Rogue Valley doesn't have the extreme winters of the east coast, so we can enjoy fall planting into November and December when trees and deciduous shrubs are fully dormant. 1. Cool weather means less stress on the plants (and the gardeners!). 2. The soil is still warm so root growth continues during the fall months; getting the plant better established for the following summer. 3. You can plant more drought tolerant plants and have to water them less because they will be more established than a spring planting. If we have a dry fall, you will still need to water deeply until the rain is more consistent. 4. You can plant more natives and support wildlife and local habitat. 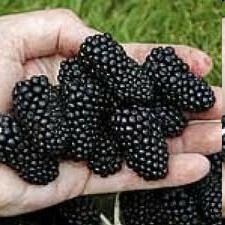 - Natives will have happier roots with a fall planting. 5. The soil is easier to work with over the wet soils of spring. So make the most of those crisp autumn days! The nursery has a whole series of fall classes to support you in your gardening endeavors. We are fully stocked for fall, it won't be the dregs left over from summer. Fall is a great time to add some color or texture to your garden. Think ornamental grasses, seed heads, and crimson fall leaves. If you think you need an expert eye on your landscape, contact us about our design and consult services. Happy Planting! Classes: Seasonal refreshments and activities for the kiddos will be provided. Click here for our list of classes and to register. Fruit Tree Season is Here!